Kord first got in contact with radio in the mid-sixties at the age of 11, when he with his aunt and sister visited in Denmark for a holiday, where he listened to Radio Caroline. At that time he did not know that this was an offshore station, a pirate broadcasting from the North Sea. Years later, in 1970 he got his first radio and could listen to such great stations like Radio Nordsee and many others. From that time on, this young boy knew what he'd like to be when he grew up: A radio DJ !!! In 1974 he worked for some months together with such great people like Dennis King, Brian Anderson, Tony Allen, Andy Archer and many others at the Caroline House in Den Haag in the Netherlands. But it would take him more than 20 years to make his dream come true. In 1998 Kord created his first small radio station and of course called it: Radio Mi Amigo on the Canarian islands. 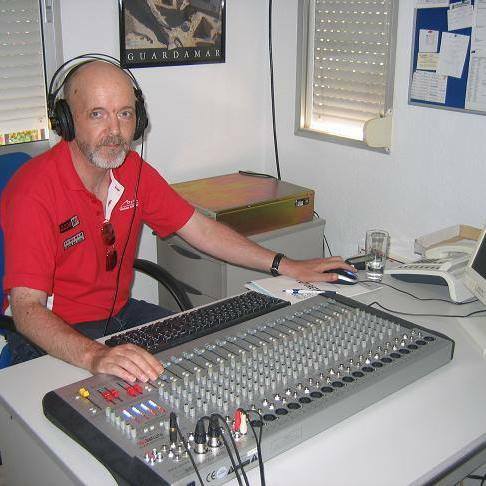 Some years later he came to the Costa Blanca where in 2006 he created the home of Radio Mi Amigo. The broadcasts on 2 FM frequencies along the Costa Blanca are in German. Since the end of 2014 Radio Mi Amigo is also on shortwave and medium wave in the weekends, together with a group of famous professional presenters, they give the listeners this great am-feeling, re-creating the sound of that great era from the 60's up to the 80's.